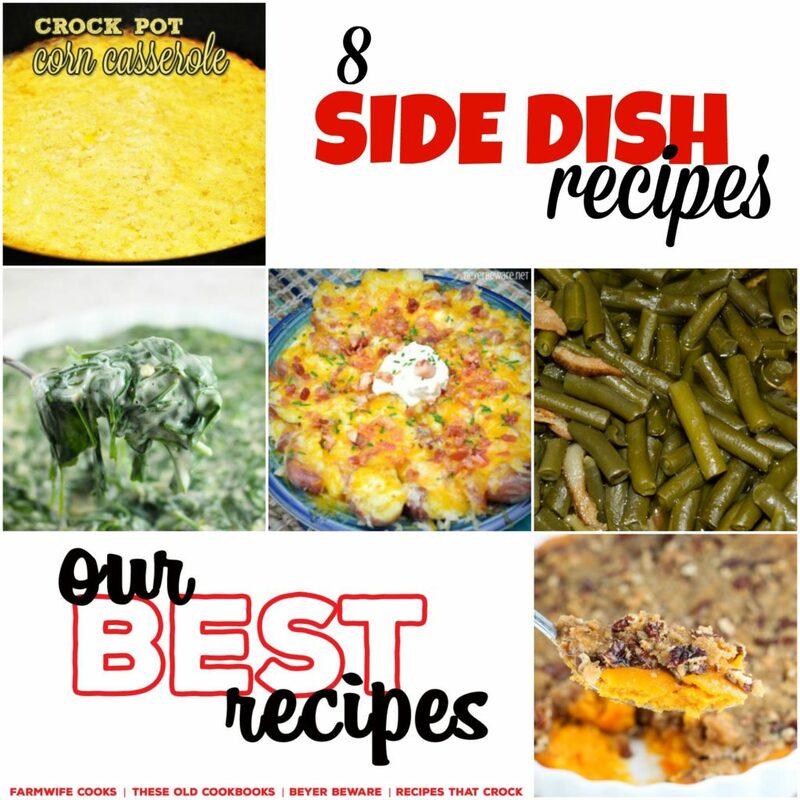 Are you looking for some new side dishes to serve? 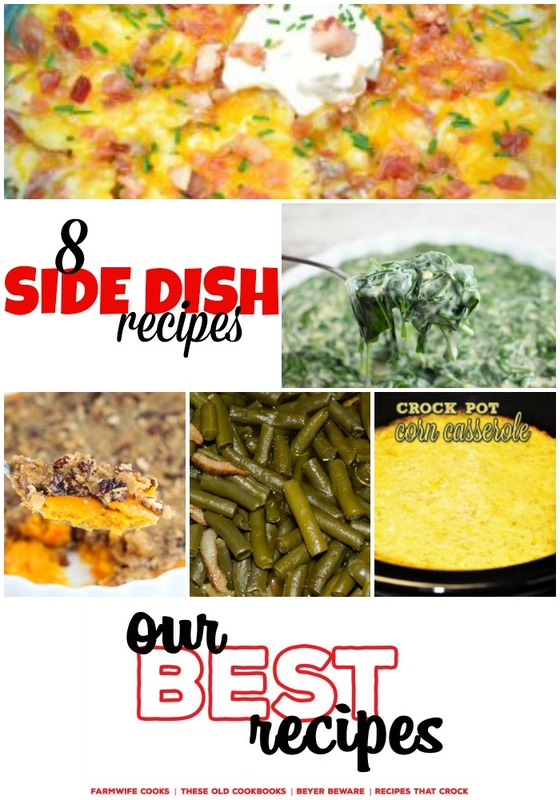 These 8 Side Dish Recipes are perfect for your next meal and include easy potato and vegetable options. I are excited to bring you another week of “Our Best Recipes,” tried and true recipes from myself and 3 of my food blogger friends. Each Wednesday, we’ll take turns with Cris, Megan and Leah sharing some of the best recipes from our blogs. My last post was all about Rotisserie Chicken Recipes be sure to check those out!